The Great Fire of London Game is a very good introduction to the Great Fire topic; it is interesting to play and full of facts. Two children, Tom and Jane have to help stop the fire as it spreads across London. First hand evidence is incorporated, as well as lots of atmospheric information giving payers a little idea of what it must have been like. The game is full of drag and drop sections where children have to decide what is evidence and what is just interesting. The game is interesting historically, children have to decide what to take on a cart when the Pepys family leave home to escape the fire. Through the game, they have to help try to prevent the fire from spreading using a fire hook and buckets of water, things children would normally have no idea about today. They also learn about blowing up buildings in order to stop the spread. The game introduces fire insurance, the Fire Brigade and fire marks. It makes children think about the types of houses that were to eventually replace the wooden ones. There is also a sequence ordering game for children to revise the events that occurred during the Great Fire. 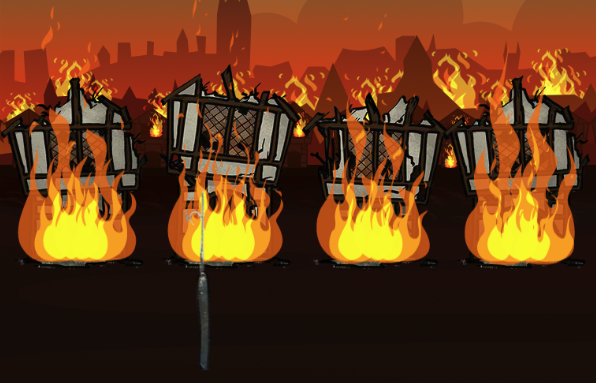 The six sections of the The Great Fire of London game correspond with the six days that the fire was burning. 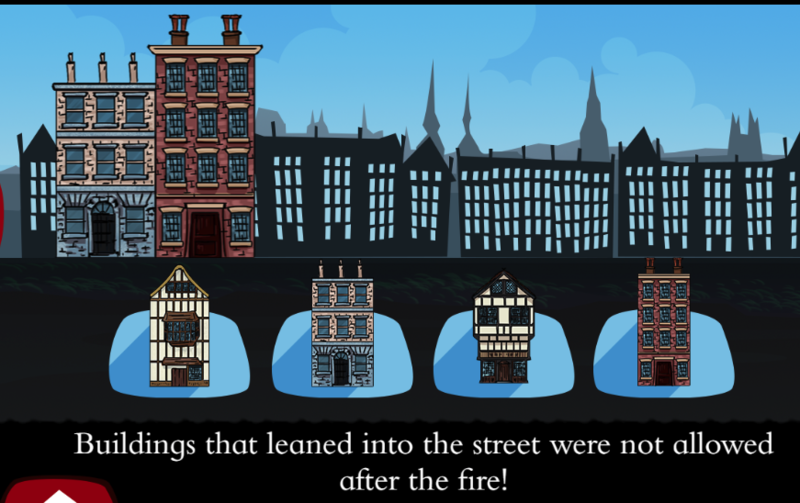 The Great Fire of London Game, created by the Museum of London, is a great introduction to the fire of London, it is full of historical facts and data presented in an interesting game-like format which can be shared on the IWB and played as a whole class. “This game is a relaunched edition of the hugely popular 2008 version. Players meet Tom (a fictional character) and Jane (Samuel Pepys’s maid) and hear their stories of the fire. 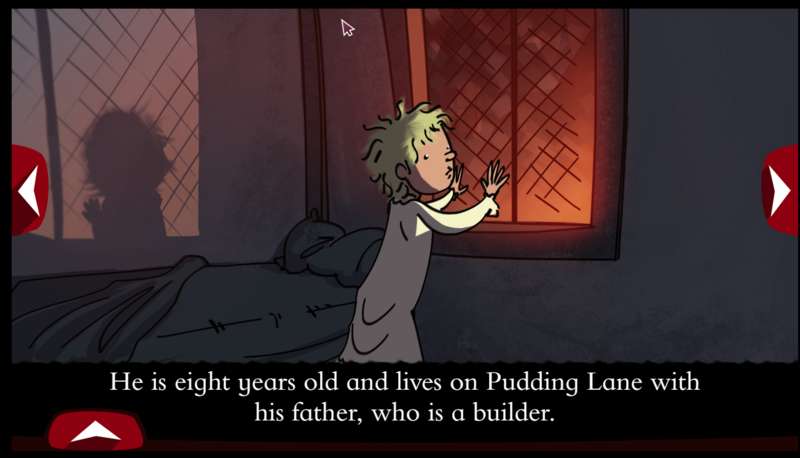 As the story unfolds, children play mini-games such as helping Jane pack a cart of Pepys’s precious belongings, helping to fight the fire and learning how we know about what happened in the fire. focus on the theme of understanding how we know about the past and use the ‘How do we know?’ scenes to examine the evidence that tells us about the fire. If by any chance you use Minecraft in school, the game also has a Minecraft map of The Great Fire of London. “Great Fire 1666 uses the power of Minecraft to tell the story of the fire. Why not harness the huge popularity of this game, played by 100 million people worldwide, to help teach the topic? There are actually three maps, pre-fire London, the events of the fire and post fire rebuilding. The maps are free to download.